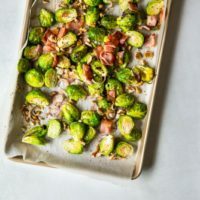 Not everyone likes brussel sprouts, but not everyone cooks them with Bacon! Bacon makes everything better, though I personally love brussel sprouts! Lauren Keatings new cookbook Healthy Eating One-Pot Cookbook is full of wonderful recipes that can be part of an easy and healthy Meal Plan. Roasted Brussels Sprouts with Bacon & Pecans are one of the recipes I new I had to make right away. There were a few things that I liked about it. 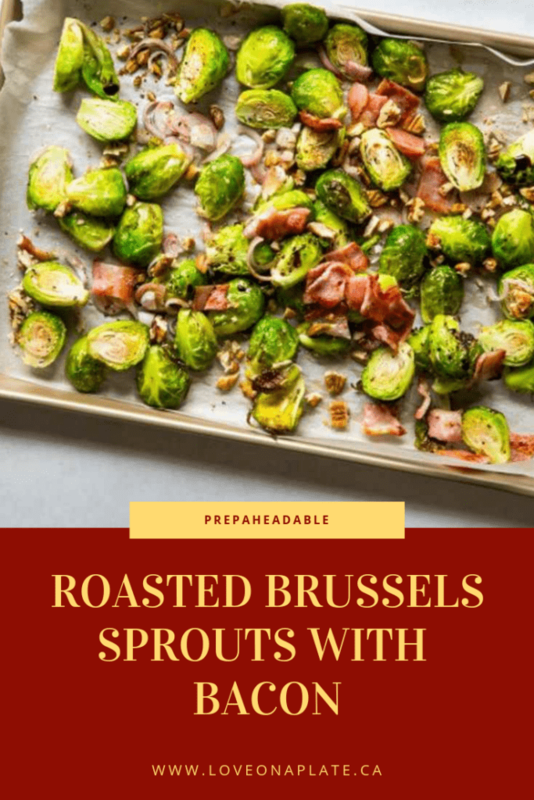 Brussels Sprouts – I like them! Meal Prep friendly; think prepaheadbles! 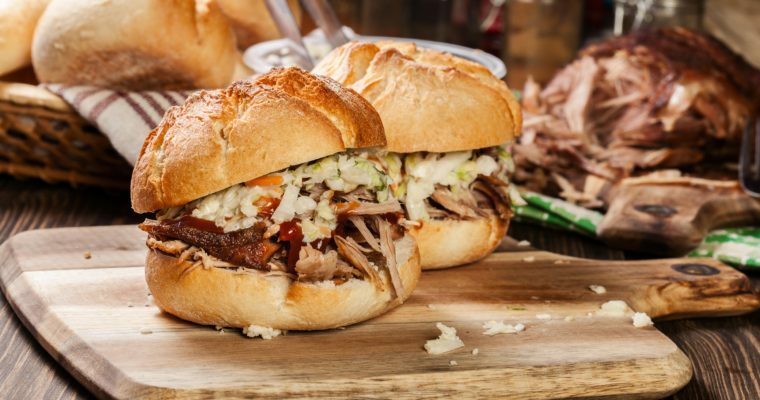 I have tried both of these recipes and highly recommend them. 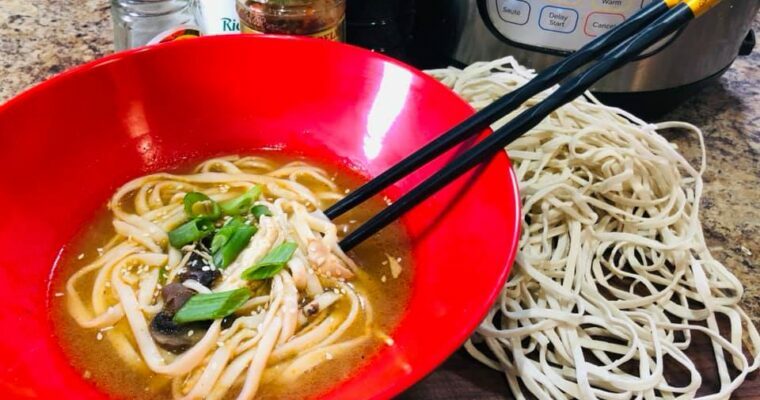 The Red Curry Ramen is made in the Instant Pot and Korean Pulled Chicken Lettuce Cups is a slow cooker meal. Her Healthy Eating One-Pot Cookbook is all one-pot meals featuring the Instant Pot, Slow Cooker, Sheet Pan, Dutch Oven and Skillet. Crispy roasted Brussels sprouts are one of my favorite winter vegetables. This recipe gets an upgrade from crispy bacon and sweet shallot. A splash of vinegar stirred in at the end brightens everything. This recipe is perfect for winter holidays—make a double batch because they go fast! Preheat the oven to 400°F. 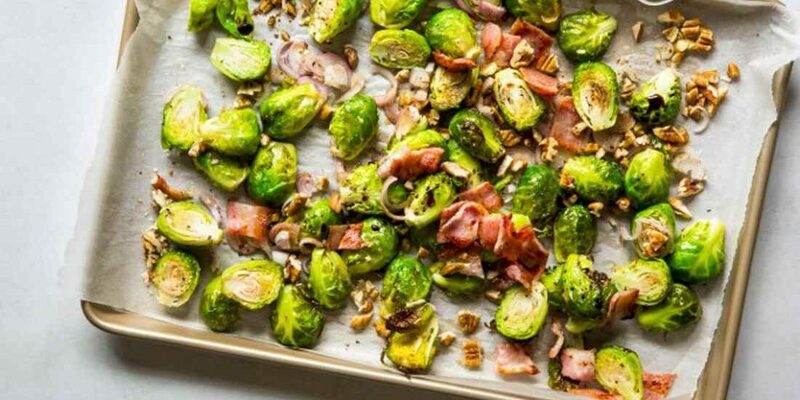 Place the Brussels sprouts, bacon, and shallots on a rimmed sheet pan. Drizzle with the olive oil and season generously with salt and pepper. Toss to coat. Substitution tip: Pecans can be expensive, but you can usually find smaller bags in the baking aisle. You can also substitute walnuts or omit the nuts. Roast for 35 minutes until the Brussels sprouts are tender. Stir in the pecans and vinegar.